But minutes later, just as we neared the top of the hill, we heard another helicopter approaching from our rear. Looking back as I scrambled for concealment, I saw the same gunship, at a much higher altitude now, diving straight at us to attack. Knowing that it was armed with seventy-six 2.75-inch rockets, each packing a ten-pound warhead, a 7.62mm minigun that could fire a hundred rounds a second, and an automatic 40mm grenade launcher that kicked out five high-explosives shells a second, I had little doubt what we were facing. OH-6 Light Observation Helicopter "LOH"
By then the Cobra had completed its turn and was diving at us for the kill. As other team members shouted, “Get ’em on the radio, Ward!” and “Hit the dirt!” I opened and closed my cloth signal panel high over my head, desperately hoping the Cobra could see its bright red in spite of the smoke. “Take cover!” I shouted, plunging into the crater. At that second the gunship’s nose-mounted minigun opened fire with a long burst at a tall clump of vegetation two hundred meters north of us. As a hail of bullets interspersed with red tracers ricocheted and whined through the air, the gunship started to work its fire toward us. 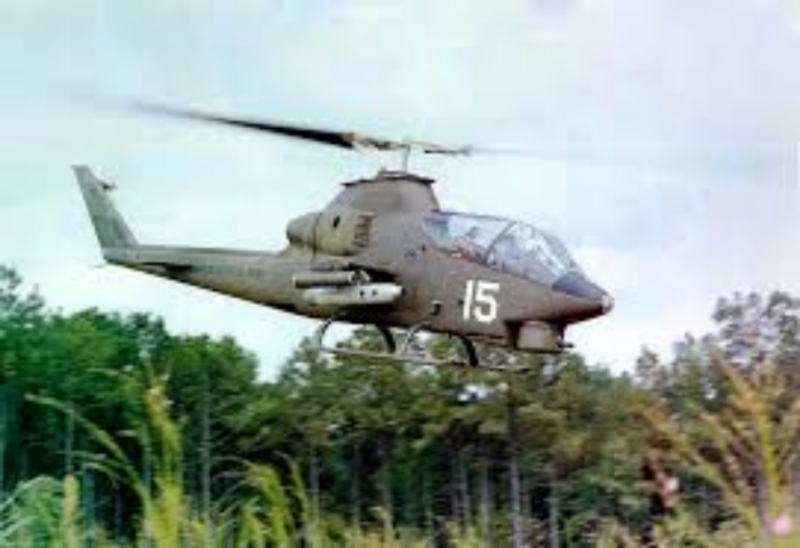 We saw several Hueys approaching below thick black clouds to our north, but we stayed hidden even though we knew that our extraction ships were in the air. Once radio contact was made, we crawled out of the crater into the vegetation surrounding the crater’s edge.